Our second downloadable book is called “A New Life.” It’s the story of two young people in love who decide to take their growing family to England in search of new opportunities. 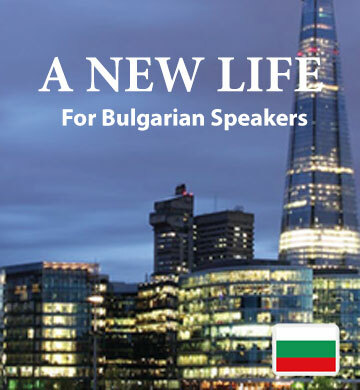 Bulgarian speakers will sympathise with the couple as they struggle to gain success in their adopted country. Each chapter introduces new vocabulary, and because the accompanying audio track lets you hear the words used naturally and in context, you’ll find that your understanding grows easily with each reading. Our convenient mobile app is included in your purchase. It’s easy to use and lets you enjoy your Easilang book on your phone or tablet.